New Orleans Suspects came about as the result of a jam session at the Maple Leaf in New Orleans. The members were all part of a common pool that could be called if the Maple Leaf had an open night (last minute cancellation, scheduling mix-up, etc). The chemistry was there and they decided to pursue this as a side project. 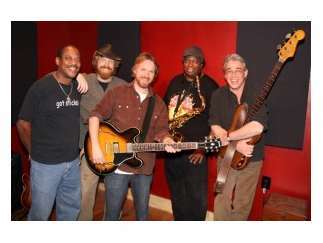 The band features Mean Willie Green (Neville Bros), Reggie Scanlan (Rads), Jake Eckert (Dirty Dozen Brass Band), Jeff Watkins (James Brown Band) and CR Gruver (Outformation).